These can be signs of a virus, hardware failure or your computer is not optimized for efficiency. Keystone Connect offers quality computer services like computer repair, computer maintenance and software upgrades at great rates. When it works, technology helps you run your business efficiently, when it doesn't, it brings everything to a halt. Small Business's don't have an IT department, so fixing the problems falls on you! Keystone Connect offers quality computer repair, computer maintenance and upgrade services to help you keep your business running. 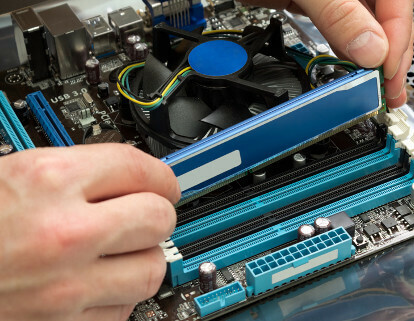 We provide a free analysis of the repairs needed, as well as costs associated with computer repairs, before performing any work. Keystone Connect also offers the same great computer repair and computer maintenance service for homes and personal equipment as well. Just like the business's we serve, we will provide a free analysis of repairs needed and let you know of costs before performing any work.